In 1891, Dr. James Naismith, a Canadian educator, physician, and sports enthusiast, invented the game of basketball with 13 original rules. These rules have evolved over time and more have been added to the list. The game was very popular in Canada alongside the country's past time, hockey. The game spread into the United States, where some of the best players from around the world come together to play in the National Basketball Association league. On November 1, 1964, the first National Basketball Association (NBA), game was played, in Toronto, Canada, when the Huskies hosted the New York Knickerbockers. Back then, the NBA was known as the Basketball Association of America (BAA). The first season, there were 11 teams competing for the trophy. Six teams made up the Eastern Conference and five teams represented the west. Today, there are 30 teams split into six divisions. Three divisions represent the east and an equal number in the west. 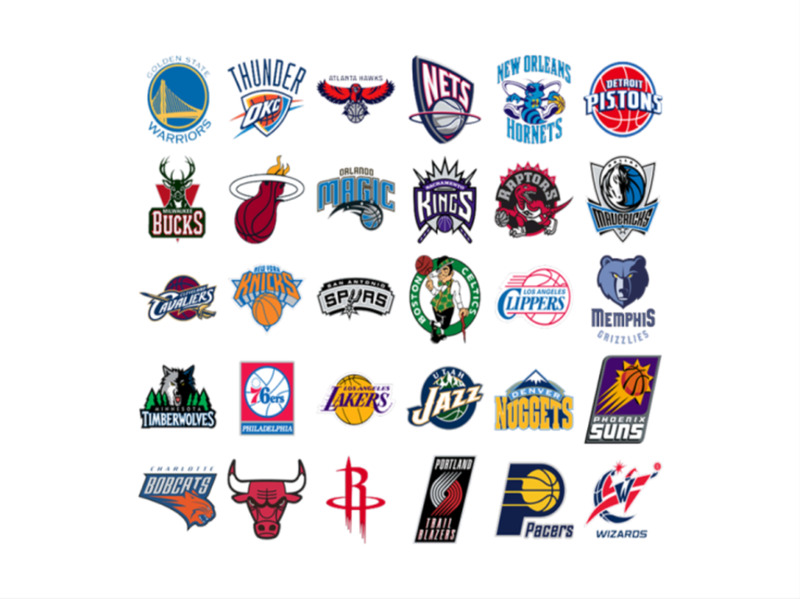 Over the years, as the NBA grew and evolved, many great teams emerged. These teams were exceptional in that they won over 80% of their games during the regular season. They were also comprised of some of the biggest names in NBA history. Five such teams not only had the highest season averages, they also went all the way to win the championships. In 1985, the Boston Celtics acquired Bill Walton through a trade with the Clippers. The Celtics gave up Cedric Maxwell for what ended up to be a high-risk, high-reward deal. At that time, Walton was a great, all-round player who saw ample bench time from injuries. The fact that he was always hurt didn't stop Red Auerbach, the Celtics' President, from signing Bill Walton. Despite his constant injuries, Walton had experience winning at UCLA and as a Portland Trailblazer. Walton ended up being a great supporter to the team's star, Larry Bird. The risk paid off. Bill Walton and Larry Bird teamed up and became unstoppable as they were flanked by Robert Parish, Kevin McHale, and Scott Wedman. There was no looking back as the Boston Celtics forged ahead, resulting in Larry Bird experiencing his best season ever, scoring 25.8 points per game, pulling in 9.8 rebounds per game, stealing 2.02 balls per game, and ranking #1 in free throw percentage at roughly 90 percent. The Boston Celtics also had strong secondary players in Danny Ainge and Dennis Johnson, resulting in their ending the season with 67 wins, setting a new franchise record. This outstanding team was especially great at home with a 40 - 1 record. They went on to win all ten home playoff games. The Celtics faced the Houston Rockets in the playoffs and finally won the championship in six games. Larry Bird was named the playoff's Most Valuable Player after producing a triple-double in the last game, bringing in 29 points, 12 assists, and 11 rebounds. This marked Boston's second championship in three years with the Bird/Parish/McHale era. Michael Jordan, the Chicago Bulls' star and arguably the best basketball player ever to participate in the NBA, led the 1991 - 1992 team to their best franchise season yet. (Only to be outdone by themselves a few years later.) Jordan performed well, earning his third MVP Award. He played with two awesome supporting stars, Scottie Pippen and Horace Grant. Despite a slow start in the season, losing two of its first three games, the Chicago Bulls took off down the road and by the end of December, were 15 - 2 after pulling off a 14 game winning streak. In January, 1992, the went on another tear with a 13 game winning streak, ending the season with a 37 - 5 home record. In the playoffs, the Chicago Bulls swept Miami but played all seven games against New York before moving into the conference semi-finals against Cleveland. It took six games to beat the Cavaliers before facing the Portland Trailblazers in the final round. With home court advantage, the Bulls won the first game against Portland. Clyde Drexler led the Trailblazers to a surprising Game 2 win. The teams brought the 1 - 1 record to Portland for the next three games where the Bulls secured two of the three games. When they went back to Chicago for the last two games, the Bulls entered the home stretch with a 3 - 2 advantage. Game six of the series boasted one of the NBA's biggest fourth quarter comeback ever. Things were not looking good for the Bulls as they entered the fourth quarter with a 15-point deficit. With a 14 - 2 run, however, the Bulls were able to persevere and surge ahead, winning the finals for two years in a row. Michael Jordan became the first player since Larry Bird to earn both the regular season and playoff MVP titles. Entering the 1966 - 1967 season, Wilt Chamberlain had already made a name for himself, owning seven consecutive scoring titles and a season averaging 50.4 points per game. Now with the Philadelphia 76ers and coach Alex Hennum, Chamberlain was poised to help put an end to the Boston Celtics' eight-championship streak. It was Hennum who convinced Chamberlain to work on being a well-rounded player rather than just a scorer. Hennum believed that Wilt had to improve the rest of his game if they were going to win a championship. Alex Hennum had much to be proud of before he joined the 76ers. He was the only opposing coach that led his team to two victories in playoff series during the Boston Celtics' 13 glory seasons with Bill Russell during the mid-1950's to the late-1960's. With Chamberlain's talent and Chet Walker's high scores, the Philadelphia 76ers, the Sixers managed to win the first 45 of their 49 games of the season. They were supported by Hal Greer, Billy Cunningham, Luke Jackson, and Wali Jones. The Eastern Conference Finals games were easy for this team, beating the Boston Celtics in five games after winning the first three in a row. The Philadelphia 76ers took the championships away from the San Francisco Warriors in six games. Wilt Chamberlain was named the league's MVP. This particular team of outstanding players was honored at the NBA's 35th anniversary celebration in 1980 by being named the greatest team of all time. The Los Angeles Lakers of 1971 - 1972 set an NBA record by winning 33 consecutive games during a stretch in the regular season. This glorious team was led by Wilt Chamberlain and supported by Jerry West and Gail Goodrich. Despite losing one of their best players, Elgin Baylor, near the beginning of the season to an injury-ridden retirement, the team persevered and forged ahead. Two men stepped up to the plate to replace Baylor's talent, Jim McMillian and Happy Hairston. Between the five fabulous players, under the direction of Bill Sharman, the Los Angeles Lakers produced one of the best NBA teams ever. The big three, Chamberlain, West, and Goodrich, had outstanding seasons and played well together. Goodrich averaged 25.9 points per game and West, 25.8 points per game. Wilt contributed by averaging 19.2 rebounds per game. The season ended for the Lakers with a 69 - 13 record, not to be broken again until the 1995 - 1996 Chicago Bulls come along. By the end, this Los Angeles team led the league in scoring, rebounding, assists, and point differential. They held a 36 - 5 record at home and won 82% of their road games. The playoffs were extremely easy for the Los Angeles Lakers as they swept the Chicago Bulls in the first round, beat the Bucks in six games in the conference finals, and defeated the New York Knicks 4 - 1 in the Finals. It marked the first championship win for the franchise in Los Angeles. After a 17-month hiatus from basketball, following the passing of his father, Michael Jordan returned to the Chicago Bulls with the best season ever seen by NBA fans. There were huge expectations for Jordan during his first full season back. During training camp, Will Perdue was traded to San Antonio in return for the explosive rebounding king, Dennis Rodman. Along with Scottie Pippen and sixth man, Toni Kukoc, Dennis Rodman were key supporting players for Michael Jordan during this best NBA season ever. No other team has lost only ten games during the regular season. Although Rodman's temper often got him into trouble, he was a strong factor in the Bulls' success, averaging 14.9 rebounds per game. Toni Kukoc, the Croatian star, played well all-round, averaging 19.4 points per game, 6.4 rebounds per game, and 5.9 assists per game. Ron Harper also had a great season as well as Steve Kerr, who came off the bench as the team's three point scoring machine. No other teams in the NBA have seen such remarkable records as these five best NBA teams ever. These teams were above and beyond what any coach or organization could imagine. The players played with great synergy and were difficult to defeat. It goes to show that it is rare when a team is so well-oiled that they can soar and have such outstanding seasons with unbeatable results. These five teams have definitely gone down as the best teams in NBA history. 1992 bulls are the best team of all time for one main reason, they had the best player of all time. 72-10, that may not ever be repeated again. they were unstoppable and flew through the playoffs. 1986-87 la lakers the best of all time. Fair enough, but the methodology left incredible Lakers of the 80s out.